The brand new style that Fuel Dually wheels has put out this year for 2018 is the D581 Triton. This Gloss Black and Milled wheel is a thing of beauty. Right now, Fuel has five models out for their one-piece line. Those models include D574 Cleaver (Gloss Black & Milled), D536 Maverick (Chrome), D538 Maverick (Matte Black & Milled), D513 Throttle (Matte Black & Milled), and of course as mentioned above the D581 Triton (Gloss Black & Milled). 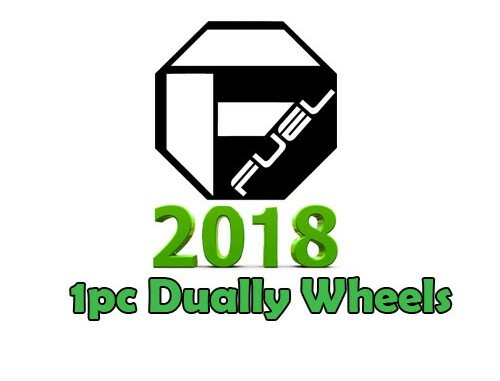 What is great about these Fuel Dually wheels is that they are affordable. Once you get into the two-piece or the forged lines, their prices will double to quadruple. You can get the same style and look for a fraction of the price with the one piece line. One-piece dually wheels are their most popular and best sellers. Worried about shipping prices? Don’t be. We have free shipping if you order through us as long as you are shipping to the continental U.S. Worried about fitment? Don’t be, we offer guaranteed fitment or your money back. We have wheel and tire specialists that have over 100 years of combined experience and they are going to make sure you get exactly what you order. You can also call them to ask them any questions you might have: 800-232-0734. 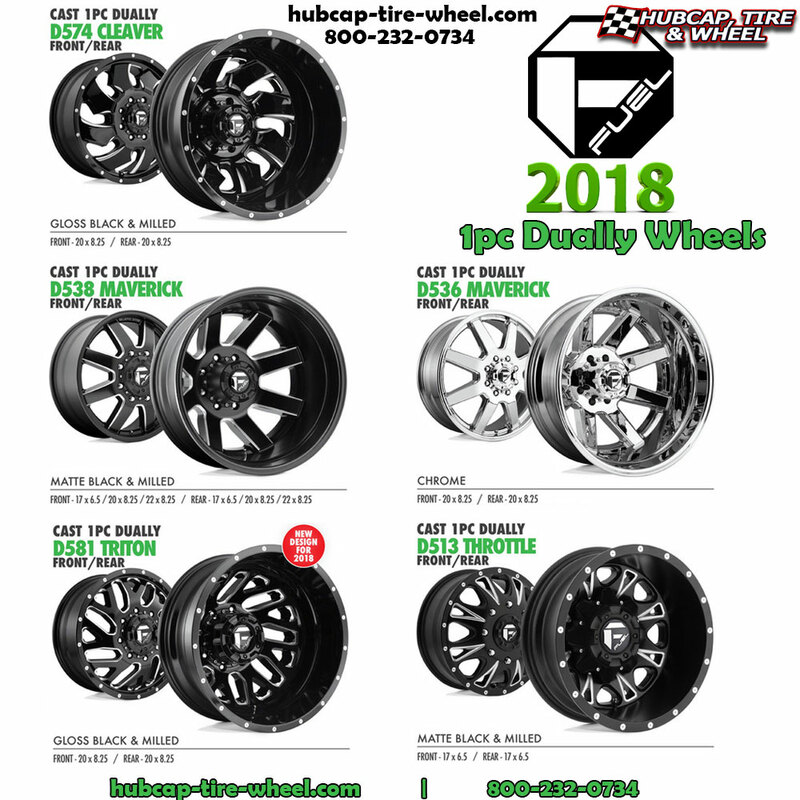 Our hours are located at the top of every page on our main website: hubcap-tire-wheel.com. If you want to contact us after ours just go to our main web site and click on the ‘contact us’ button you see on top of every page and send us a message. We will respond back as soon as we are back in the office. You can also reach us on social media via Facebook, Instagram, Twitter or Google Plus. Take a look below at all the current models available for 2018.